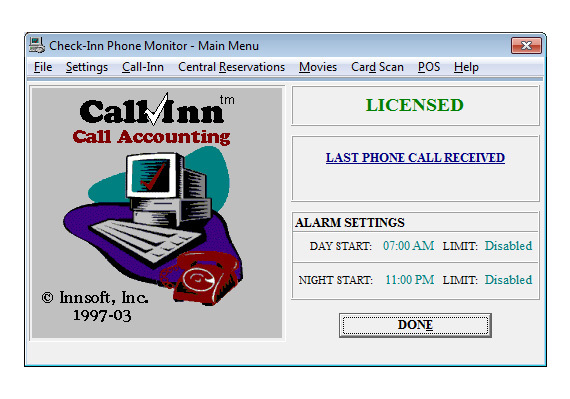 Call-Inn Call Accounting Software for Hotels | Innsoft, Inc.
Call-Inn is a convenient, affordable way to charge for calls placed from room phones. The Windows-based system automatically charges phone fees to the guest’s folio in the Check-Inn property management system. Calculates local, domestic, international, directory assistance, and specialty calls. Customizable—Choose from fixed, flat and variable rate structures. Allows for multiple local zones based on prefix, as defined by the property manager. Produces multiple phone use reports, which may be saved for future analysis. Updated for U.S. and Canadian area codes. World-class technical support from our knowledgeable staff. Enjoy hassle-free, effective call management with Call-Inn software. Review our Pricing page for more information.